A great summer side dish for entertaining ensures that you can spend more time with your guests and less time in the kitchen. 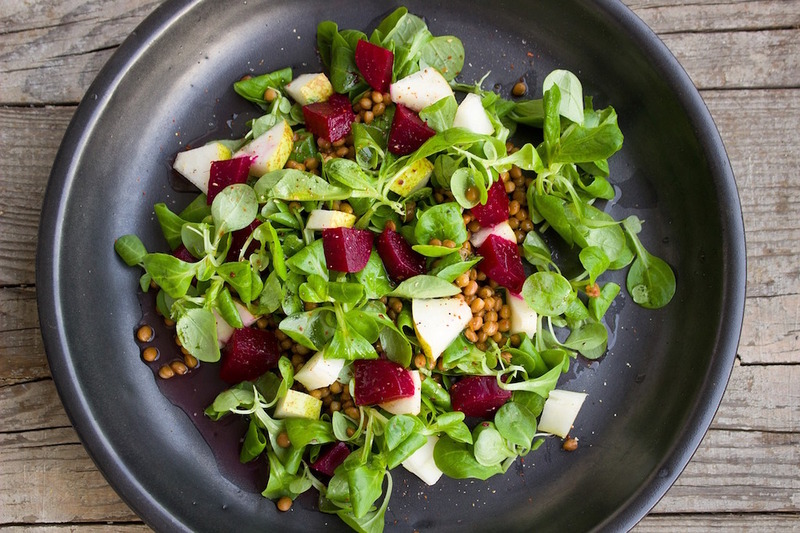 This easy wheat berry salad can be prepared up to three days in advance and improves as it sits. To prepare wheat berries: Pick through wheat berries to remove any stones, then rinse well under cold water. Place in a large heavy saucepan with water and salt. Bring to a boil then reduce heat, cover, and simmer gently for 1 hour, stirring occasionally, until al dente. Drain and rinse under cold water. Let cool to room temperature, or refrigerate until ready to use. Meanwhile, combine Riesling and cherries in a small bowl. Let stand for 15 minutes. Drain the cherries, reserving the liquid. 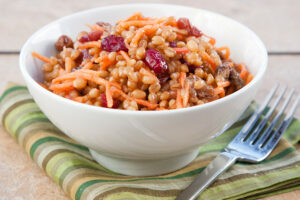 Combine the wheat berries, cherries, chopped apricots, and walnuts in a large bowl. Whisk the reserved cherry liquid, vinegar, and oil in a small bowl until combined. Season with a pinch of salt and freshly cracked pepper. Pour evenly over the salad and gently toss to combine all ingredients. Allow to marinate at least 30 minutes to allow flavors to meld. Serve cold or at room temperature.